If you play video games, I’m sure you have heard of Battle Royale hits such as Fortnite and Player Unknown Battle Grounds also known as PUBG. Respawn the creator of the good-but-underplayed Titanfall series has put together a game for the people, there hit Battle Royale game is named Apex Legends. The under the radar game had racked up 1 million players for the F2P Apex Legends in its first eight hours. This is very strange in a good way especially because no one even knew Apex Legends existed except for some leaks a few days before launch. The project has been kept entirely out the spotlight. Their marketing campaign didn’t go into place until launch day. It took Fortnite BR two weeks to hit 10 million players, In as little as 72 hours Apex Legends has already surpassed that record. The Free to play the game can be found on all platforms and has even caught the attention on streamers such as Ninja to OGCoreKiller. 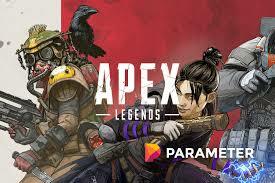 You can play the game for free now, and you can learn more information on the game at https://www.ea.com/games/apex-legends.